If you’re looking for a way to start a home based business, but you don’t want to invest a lot of money to get started, there are plenty of options about there for you. There are over 1 Million licensed real estate agents and brokers in North America… and another few hundred thousand Mortgage Lenders. A lot of them have a big thing in common. And they’re generating leads using online methods. This creates a bit of a problem for a lot of Realtors and Mortgage pros, which is… they’re “TOO BUSY” to call their leads in a timely fashion. So what a lot of them do is hire entry level “ISA’s” (Inside Sales Associates) to call their leads and start conversations for them. This is pretty easy to do, and doesn’t require much technical know how other than picking up the phone and being cool to people and talking about their home search. And the cool thing is, that do to the size of a typical real estate transaction, Realtors and mortgage lenders have the budgets and are happy to pay if you can get someone “on the hook” for them..
That depends… most agents will be willing to pay between $10-$15 an hour. But you might find that you can negotiate something like $20-$50 per appointment set, which could be way more lucrative. Note: A lot of these pros won’t call you at all, which will really indicate their need. When their CRM system sends you an autoreply email or text, just ask them if they need help calling leads. Try this with 5-10 agents and I guarantee you’ll have a few takers pretty soon! If you’re creative and you want a fun way to make a few bucks here and there from home, launching a “print on demand” tee shirt store might be a solid option for you. Tee shirts tend to be an impulse purchase for people, so if you can hit them with something that makes them smile, there’s a good chance people will whip out their credit cards and buy what you’re selling. And the best part about this idea is that platforms like Teespring.com and Printful.com make it super simple to create Tee Shirt shops on demand. With Teespring, for example you can have your tee shirt idea live and selling in under an hour. If you want to get even more fancy, Printful will let you sell mugs, hats, and other items in addition to Tee Shirts. There is a bit of a catch here though. Even though you can definitely post links to your Tee shirts on Facebook, Twitter, and Pinterest for free.. and make a few sales… if you really want to “scale” this idea into a really lucartive home based business, you’ll want to use paid facebook pay per click ads and other traffic sources. There are a number of courses out there that will show you how to launch a tee shirt business from home, including this basic course from Udemy. This one’s definitely a little “outside of the box” but it could be a really awesome way to start building up a residual income from home by helping people and businesses get on board with the cryptocurrency revolution. In order to get started with this approach, you’ll want to check out the “Sharenode” platform, which makes it really easy for businesses to tokenize and leverage the power of blockchain. Good news is that it’ll cost you absolutely nothing to start sharing Sharenode and earning commissions, as no investment is required at all to get started with this home based business. CLICK HERE To View an Interactive Presentation about this Crypto Based Work From Home Business Opportunity Now. Click Here To Create Your FREE ShareNode Account and Start Earning Crypto Affiliate Commissions Today. This idea is a lot of fun and sooooo easy to get started with. As you probably already know, “domain names” are kinda like the real estate of the internet. Just like land is scarce, so are high quality domain names that people build web properties on. If you can buy the right domain names, it’s possible to resell or even lease them out for far more than you paid for them. There is a little bit of an art to domaining, so there’s some stuff to learn and know, but overall it won’t cost you a lot of time or money to get started. 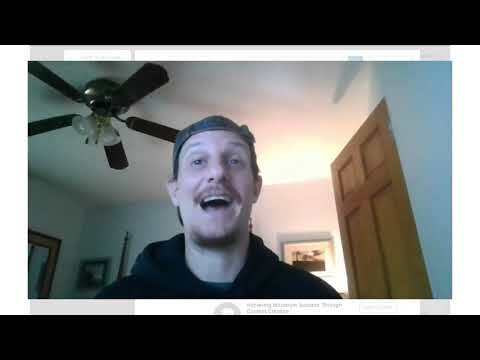 Here’s a quick video intro to this interesting Home Based business idea. This idea is closely tied to the “Domaining” idea above. If you’re going to be buying and selling domain names, you might also want to “develop” properties on them. The same way you’d buy a piece of land and put a house on it, you can also buy a domain name and build an awesome “niche” website on it. Think about a topic you’re interested in. Buy a domain name related to it. Start creating content (like this article). Google eventually “indexes” your content and sends visitors to your posts. Make sure you put “affiliate” links to products and services that pay commissions within and near your article. Well it kinda is, but there’s a lot to know, and you’ll need to be willing to put in a fair amount of work before you really start seeing income from this approach. But it can be a lot of fun and very lucrative. If you’d like to learn a whole bunch more about how to build your own Niche affiliate websites, click here to join the “wealthy affiliate” system for free now. “Wealthy Affiliate” will teach you everything you need to know about this last “Home Based Business Idea” and you’ll even be able to use their platform to create your first niche focused website right away if you want! If you’re looking for affordable “home based business ideas” that won’t break the bank, each of the 5 ideas above should cost you less than $100 to get started with. Making money from home is awesome, because you don’t have to commute to work, and you probably won’t end up having an annoying boss to deal with. But it still will require work! All of the ideas above are working for lots of other people right now, the question is, now that you have the knowledge, do you have what it takes to persevere and make your dream of success with a home based business a reality for yourself? So get to it maaaan! CLICK HERE To Create Your FREE “Wealthy Affiliate” Account Now..
Make A Website For Free? Make Money Playing Video Games? I never knew one could call leads for realtors, but it’d be a perfect home-based job for someone. Selling tees online is something I’m looking to get into in time and since I’m a writer with a full-length novel out, I definitely have ideas to spawn from there. And of course, I can personally state my satisfaction with Wealth Affiliate. I’ve learned more using its platform in 50 days than I had even at any college or university. WA gets it right. Thanks for sharing these ideas I had no idea about some of the ideas you mentioned. The only ones I am familiar with are the affiliate marketing business and the buying and selling domains. There are a lot of opportunities out there that anyone that is really interested in making money online can be able to start and in no time begin to see some profits. The online market world is very vast and the opportunities are so much that anyone that knows what they are doing can really make something of themselves. Yep, so much opportunity out there… thanks for the reply! I really appreciated these ideas! Many of them weren’t ones I’ve thought of before. I feel like everything I read a “make money at home” article, it says the same things…like do surveys, join focus groups, teach online, etc. I really appreciated that these were new ideas, and they pay off a lot more than some of the prior mentioned ideas, too! You have some really great ideas here! I already have a niche blog post, and I actually use Wealthy Affiliate which is great! I am interested in the first two on your list. This seems like something I can do as well. I am curious, what kind of income you can make calling leads for realtors? I can also see starting a niche for selling the silly tshirts. That also seems like a really great idea! I have gone through your blog post and all of these are great ideas! However, I have to decline the first one, cold calling, or any kind of calling for that matter is not for me. I think funny T’s is a great idea, but again, what is not doing it for me is that you need some inventory and right now, investing is out of the question. I know nothing about cryptocurrencies except that it’s an encrypted digital currency, so my learning curve would be quite high. Now the last two are very interesting. 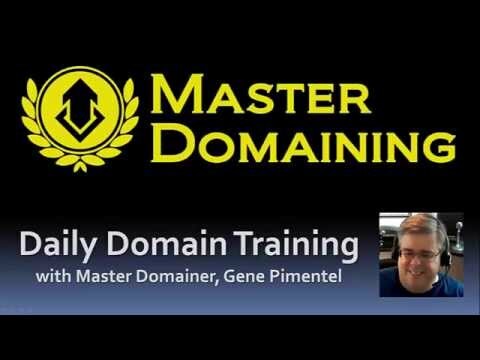 Buying and selling domains for profit and Affiliate websites sounds like something that I would like to try. I wonder, do you think I could join Wealthy Affiliate and use their Hosting to buy and sell domains while building a “niche” website? Thanks for the detailed reply Denis… yes, I’m with you on #1… getting on the phone isn’t for everyone (me included 🙂 For what it’s worth though, that approach isn’t exactly cold calling, it’s calling back leads who provide a valid number. Thank you for this wonderful post about 5 Home Based Business Ideas which don’t require a lot of money to start.Nowadays people are really interested in making money being at home because it is more secured and more comfortable . I like making affiliate marketing even if it is not easy but i feel more secured than other ideas.I try to write content on my website and insert my affiliate link and when people sign through my link i get commission when they buy something or pay some dollars to upgrade. I am sure everyone has his own prefered idea. Hello there. Nice information about 5 home based business ideas that don’t require a lot of money to get started. I am sort of familiar with number one but in a different fashion. In this case when my dad sees a land for sale, he looks for a buyer and charges minimum x2 of the price the owner intended to sell it. He most times makes more than 100% profit of the owners price. I’m also familiar with 4 and 5. I love no 5 so much. I want to venture into Affiliate Marketing. It is so lucrative and profitable. Excellent post. I thought it was well written, the page clean and professional. You write as one who has studied and and exhibit experience about home-based businesses. I was unaware of the different ideas you posted; thus, I learned something new. I particulary like the tee-shirt business. Anyone wanting to explore Home-Based business possibilities would learn a lot from your post. Tokenizing a business sounds like a very interesting idea. I have never heard about it before but I think it could be quite fun. Domaining is also a interesting one and I have heard of this one before. I have heard of people making a decent amount of income with it but I would still like to try it for myself. I think by far the most popular way is creating a niche website to make additional income. I think that these are brilliant ways to keep yourself out of trouble (by avoiding scams). Great post! its so funny how one can easily make money online as long you have an internet connection. I am looking for an online adventure and I had so many take always from your post. I am now undecided as to which program to start with, I think I will first try affiliate marketing. I am logged into Wealthy Affiliate now, its too early to give my opinion though, I will need some time to see how it works, if it works well, I will definitely continue with the program. I really do appreciate the time to write about all these different ideas making money and also working from home. I was surprised about a couple of your ideas which I had never heard of it. I like the part where you can become an ISA, I really like this idea and I will certainly try it out where I live. I am also surprised that you can “lease” a domain. I know about buying and selling them but not leasing them. Anyway, I am glad you have a video which I loved to watch, helps a lot too. Thanks for all the great ideas and for sharing it, I enjoyed it and you have given me quite the boost to try something new. Hey i really enjoyed this article, it was very informative. I wouldnt mind selling domains but i wouldnt know if i could make a profit from it. I do enjoy doing affiliate marketing and growing my website even more. I also am on Fiverr and do freelance work on there, i make some money and hoping i can make more on there soon enough.